Heat oven to 350°F. Spray cookie sheet with cooking spray, or line with cooking parchment paper. Unroll dough into 2 long rectangles on work surface. Firmly press perforations to seal. Brush with butter, leaving about 1/2 inch on 1 of the long edges of each rectangle of dough without butter. Make sure this edge stays clean so the dough will seal. 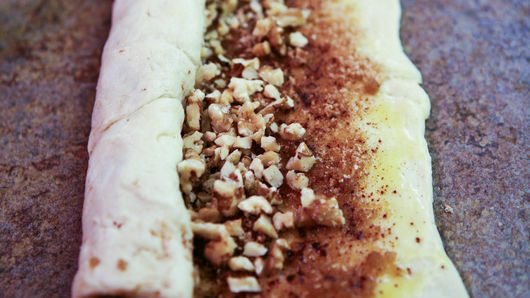 Sprinkle brown sugar, cinnamon and pecans over the melted butter on dough. Roll dough up tightly, and seal edge. 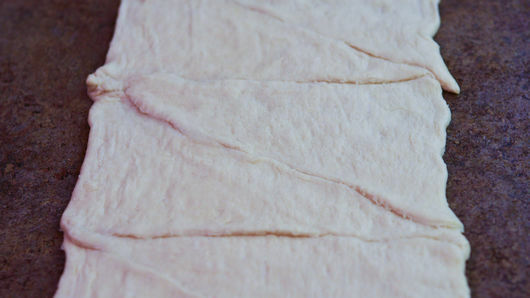 Using serrated knife, cut each dough roll into 16 equal slices. Place slices cut side down 2 to 3 inches apart on cookie sheet. Bake 12 to 17 minutes or until golden brown. Serve warm. Walnuts can also be used in this recipe. 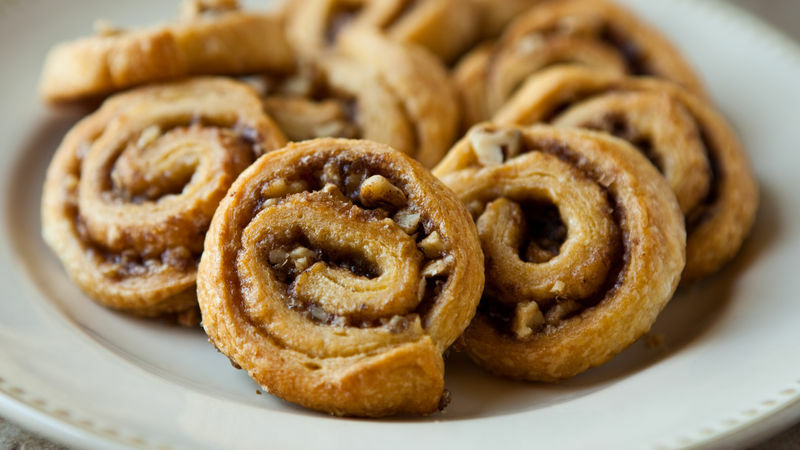 For an easy icing, mix 1 cup powdered sugar, 1 to 2 tablespoons milk and 1/4 teaspoon vanilla to create a glaze that you can drizzle over these pinwheels.